Are you ready to learn? Use the links below to enter your courses. These links will allow you to enter your Learning Dashboard to access all of your courses. Before you begin courses for the first time, please review the STUDENT ORIENTATION.A� Alternatively, you can print this handy Getting Started Guide. 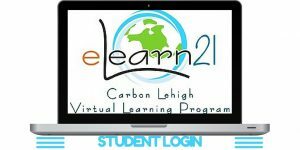 Please remember that if you are having any trouble with course navigation or your borrowed computer equipment, you can call 1-855-4ELEARN (1-855-435-3276) or e-mail elearn21-help@cliu.org for support. Help desk hours are Monday-Friday, 7am-5pm (excluding holidays). If you leave or send a message, you will get a response within 24 business hours. TUTORING HELP: If you need help with the content your one of your courses, be sure to reach out to your teacher for help. Each of our course providers have options available for tutoring.